One thing you might know about me, especially if you've met me in person, is that my teeth are pretty jacked. I had braces as a kid but a crooked actual mouth, teeth susceptible to decay and a fall while running along wet cement at the local pool aged 7 (DON'T RUN NEAR THE POOL, KIDS) means my smile is less than perfect and it gets me down from time to time. As you will be well aware, dentistry is 'spensive even with private health cover and I've shelled out many thousands already on just keeping my choppers in my head, let alone having them look nice. I came across the GlamSmile concept while researching affordable veneers online and contacted Dr Ollie Zarucki, the sole licensed Glam Smile franchisee owner here in Adelaide, to find out more. It can be difficult to find pricing and information online so I'm hoping this will help you out if it's something you've been considering. Dr Zarucki was happy to meet with me and talk me through the process; including the range of smile styles available, the standards on offer, how the veneers are created, what they're made of and what's involved from start to finish. Dr Zarucki explained that GlamSmile veneers operated in much the same way as a false fingernail, affixed to the existing tooth with little to no preparation of the tooth itself in a lot of cases. This means that if you decide you're not into them down the track, they can be removed with little damage to the existing tooth. Traditional veneers require the teeth to be filed down considerably; meaning once you commit, you'll need them for life. 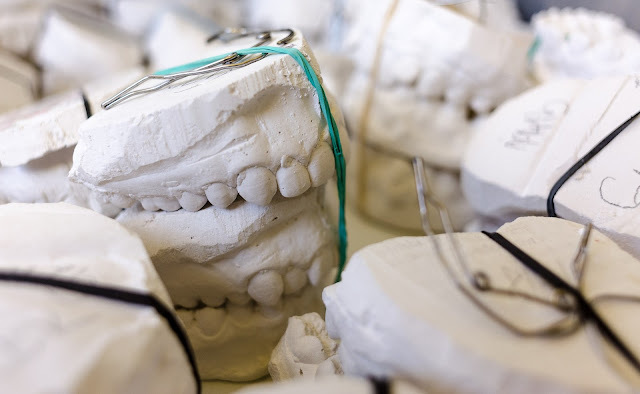 Following a consultation, including x-rays and a model similar to the ones pictured above, a diagnostic wax model will be made to fit over your current teeth, giving you a good idea of how the veneers will look once applied and allow the dentist to make any changes before you go ahead and get them done. Dr Zarucki recommends bringing in photos and examples of what kind of smile you're looking for. It's important to note that face shape, mouth size, and lip fullness all have an effect on your smile shape, and that veneers can actually alter the appearance of your face as well as just your teeth. Some patients may require small amounts of gum surgery to improve the appearance of the top of the teeth. How much does GlamSmile cost? There are three levels of GlamSmile veneers with varying levels of detail and materials that obviously have an effect on pricing. Basic Veneer - $675 per tooth. Veneers are created from a porcelain "block" and therefore are quite uniform in their appearance, meaning natural variations in tooth texture and colour aren't present. GlamSmile Plus Veneer - $800 per tooth. This is a more natural and higher quality veneer. GlamSmile Platinum Veneer - $1000 per tooth. This is the top of the range, high-end option and usually used when there is a need to perform preparation on the existing tooth, ie due to high levels of decay. Also available is a composite resin alternative at $400 per tooth. You will need a consultation to find out for sure. Dr Zarucki told me that patients with gum disease and / or tooth decay are not good candidates for GlamSmile veneers. You can find your local Glam Smile practitioner here. Dr Zarucki had a look in my mouth to see what was up. Noting my old half-capped tooth, he observed (much to my horror) that it could well be dead inside and I would need an x-ray (covered by Medicare) to check it out, so I have a referral for that. The staining on my teeth, he says, is a result of braces as a teen and may improve by using Tooth Mousse to repair white spot lesions and to reduce sensitivity in the teeth prior to a whitening treatment in the first instance. I need to see my regular dentist to fix some existing fillings that have some decay around them. I could then benefit from six veneers to even out my teeth and create a more even smile. I'll definitely get started on the prep work as it will benefit my dental health regardless. At this stage on my part-time wage, even the most affordable veneer option is a little out of reach but it's great to have a clearer understanding of the process and costs involved. As well as doing Glam Smile since the early 2000s, Dr Zarucki has been performing all the different aspects of dentistry for more than 30 years. In addition to his North Terrace location, he has always had a country practice where he has undertaken almost every type of dental work including facial surgery repair on a patient who was involved in a car accident. 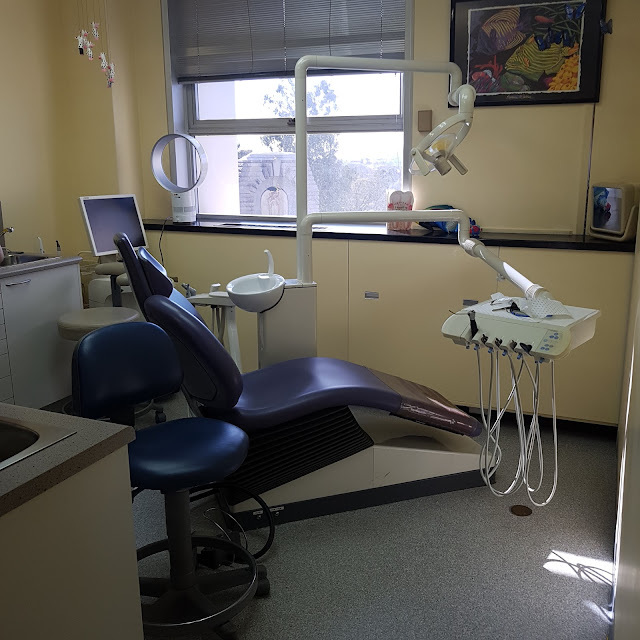 He has also worked as a visiting consultant to the Royal Australian Air Force dental base at Edinborough and as a consultant dentist at the Strathmont Centre for patients that were mentally and physically handicapped. Where is Dr Zarucki located? Level 3, 195 North Terrace, Adelaide. Phone (08) 8232 1722. Have you had veneers or other cosmetic dentistry? What was your experience like? Dr Ollie Zarucki met with me for an initial consultation free of charge. No work was performed at the time. For more information, please see my PR and Media policy.